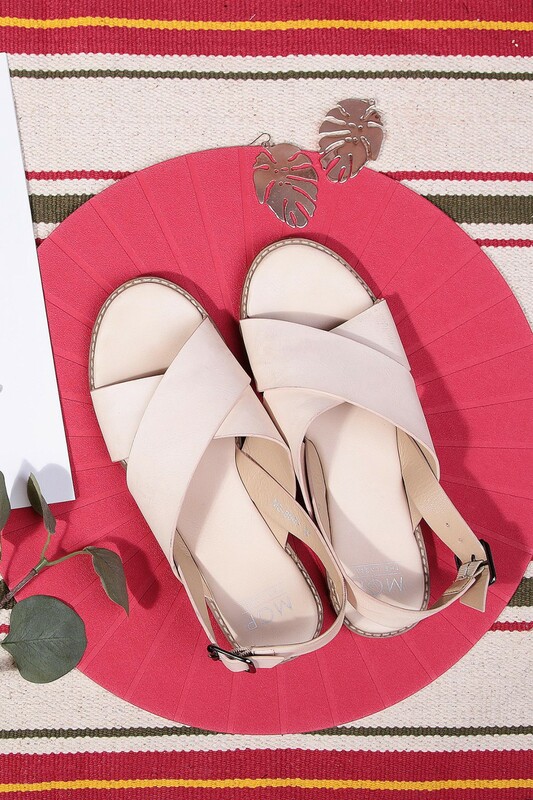 Our tropical country may not have winter, but it's time to dance in the sun in our criss cross sandals. Now lined and passed with cushion, this will be definitely made for walking. It's time to say good-bye to your old, boring slippers. Who's up for some weekend picnics? Also available in Cream / Black and in 35/36/37/38/39/40. Made of synthetic leather material. Strictly no exchanges for shoes.